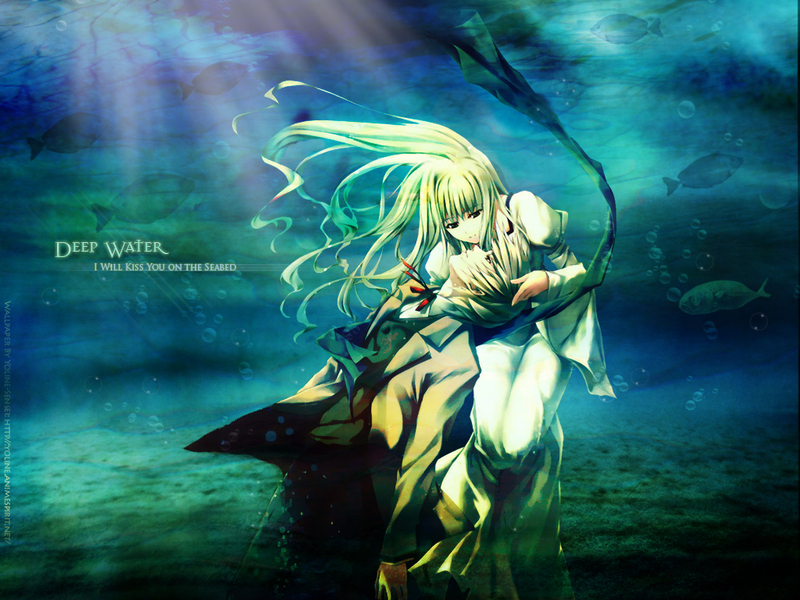 Well, I made this wallpaper because I loved this Scan, and I tried to make my first "Water Theme" of wallie. Composition: I used brushes of bubles, fishes, water and some others. Textures: I used some kind of light textures, as blue and green ones for the sea . I used one stock from deviantar, but it didn't work and I prefered the brushes to compose the backgrond. This would've been a perfect desktop if it weren't oh so tiny. loved the colors and light effects that u used ^^ its so diferent and beautiful, loved! This is so perfect, so cute, so lovely *-*) ??? Wow, this is gorgeous. I love the theme, the colors and the effects. It really looks good. Keep it up! ome kind of light textures, as blue and green ones for the sea .